SWEDEN: China Guangdong Nuclear Power Group (CGN) has acquired a 75% stake in the 650MW Markbygden project, which is part of a 4GW-plus wind cluster in the northern Piteå municipality. It acquired the share from GE Financial Services and the Macquarie-owned Green Investment Group, which had previously acquired the project from Swedish developer Svevind. The acquisition marks CGN’s entry into the Nordic region. Markbygden is due to be completed by the end of 2019, by which time it could be one of Europe’s largest onshore wind farms. GE will provide 179 of its 3.6-137 turbines for the site, which will be installed by main contractor NCC Sverige. Former owner Svevind developed the site for 15 years before selling to a joint venture (JV) of the Green Investment Group and GE Renewable Energy in November 2017. The transaction was the Green Investment Group’s first since being bought by Australian investment firm Macquarie. 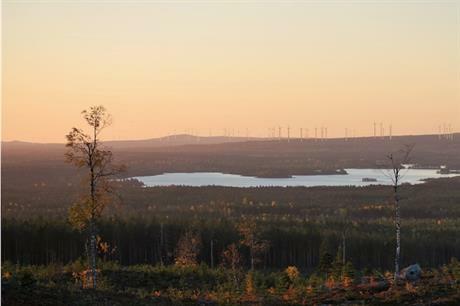 The 650MW project is part of a 1,011-turbine cluster of wind farms in Piteå, northern Finland. Permits for all three stages of the cluster have been approved.